In some countries, hotel staff leave a chocolate on your pillow for you; in other countries they turn down the covers on your bed. But as account manager Amanda found out this evening, in India they do things a little differently. 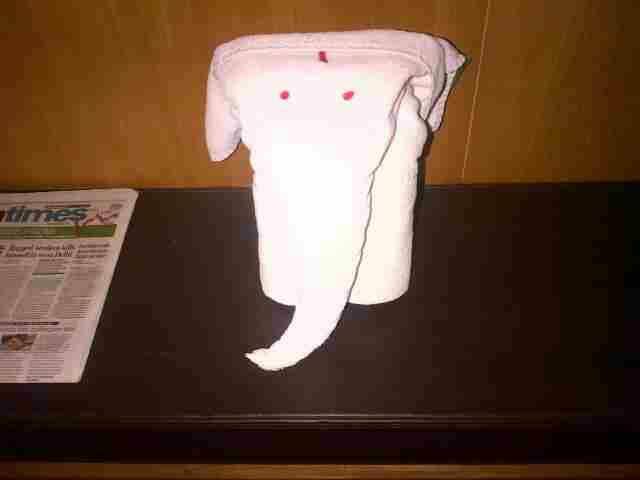 On arriving back in her hotel room, she was surprised to find her towel had been lovingly folded into the shape of an elephant. “It’s not every day you come home and find an elephant in your room!” was Amanda’s cheeky response. 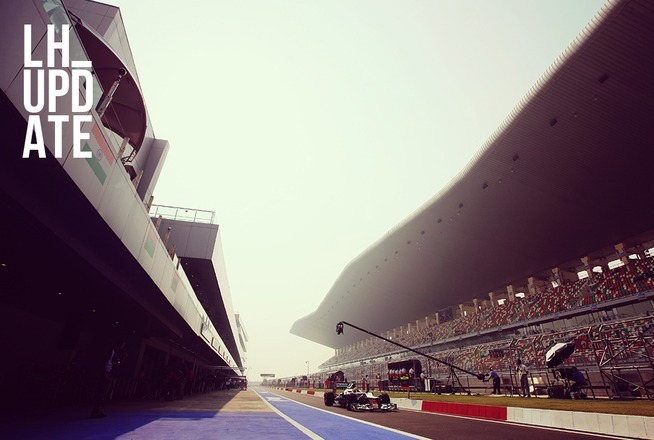 CNN’s Ben Wyatt explores the popularity of F1 in India and what the future might hold. Two pole positions and two race victories provided Kevin Magnussen with the perfect sign-off to his stunning championship-winning season. The newly crowned World Series by Renault title winner, and one of McLaren’s Young Driver hopefuls, has utterly dominated the junior series, continually tightening the grip on the championship with a string of stunning results towards the season’s conclusion. Understandably, after such a strong year, all eyes are on the young Dane’s future. Don’t mistake his self-assurance with arrogance, though. There’s a streak of steely determination that runs through Kevin’s veins – but his is not the table-thumping fire that you see in some drivers; it’s more of an utter assurance with his abilities that gives him a zen-like calmness. Get beyond the slightly wary smile and engage the 21-year-old in conversation, and you’ll be left in no doubt that he knows what is coming to him. At the start of the year, that singular focus was directed towards winning the World Series by Renault title. WSR, as it’s commonly known, is one of Formula 1’s principal feeder series, providing wannabe grand prix drivers with gobfuls of power and downforce, and a calendar that takes in a smattering of classic European racetracks. Like its GP2 counterpart, this really is a mini-F1. 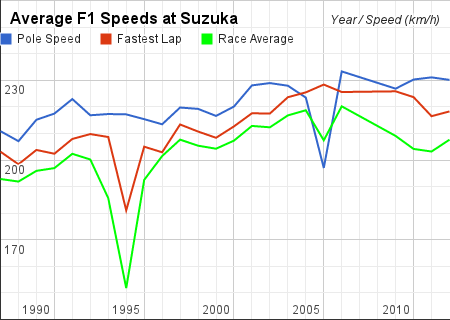 Like GP2, too, race weekends are run as double-headers – so, with a maximum of 50 points available at each race meeting (WSR also follows F1’s scoring system), having an off-weekend can have a disastrous impact on title hopes. This was something Kevin quickly twigged. 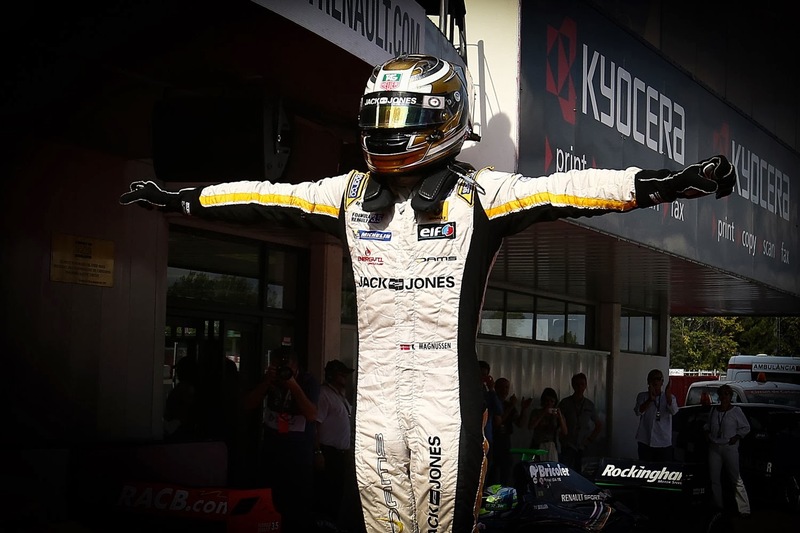 Going into his second year in WSR (he won one race and finished seventh in the 2012 championship), he openly admitted that overall consistency was his highest priority for 2013. It was perhaps a sign of his self-confidence that Kevin didn’t consider raw pace his most immediate concern, doubtless reasoning that speed was already fully under his control. Unsurprisingly, he was right on each count. “At the start of the season, I set out with the aim to be consistent everywhere,” he says. “I really wanted to win the title through consistency. Looking back at my year, I’m extremely proud that I was able to realise that ambition. Like any true racing driver, Kevin knows that the backbone of his challenge was provided by his team, DAMS, who supplied a supple and consistent car with which Kevin could excel. 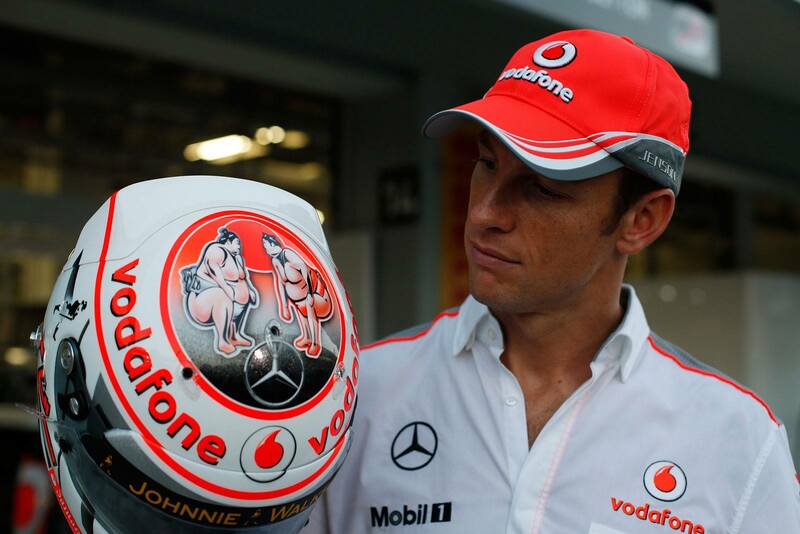 He adds: “I must say a big thank-you to the team – they gave me a car that was extremely quick at every single race. That was incredibly important, and really underlined my ambition to be consistent. “I think the last two race weekends were the most satisfying for me,” he continues. “I dominated every single session [Kevin took four pole positions and four victories in the last four races, albeit losing one victory due to a car irregularity], so I was completely on top-form for those weekends. With the dust now settled on the WSR title fight (fellow McLaren Young Driver Stoffel Vandoorne also underlined his credentials by finishing as series runner-up), Kevin’s focus now switches to Formula 1. Given his determination, is he prepared to take a side-step, and train as a Formula 1 test driver for 2014 ahead of a race seat for ’15? Click on the car parts to explore our INTERACTIVE Cutaway F1 Car infographic! Don’t miss the download links to our infographics below! And don’t forget to SHARE this blog link if you like it. Featured car parts: pitot tube, lap trigger / FIA transponders, drivers’ seat, airhorn / airbox / air inlet, team radio, GPS receiver, telemetry data transmitter, pedals (accelerator and brake), security data recorder, Correvit optical sensor, SECU (Standard Electronics Control Unit), damping system, knee padding / leg protection, antennas, steering wheel. Once again, one of our fans contributed the amazing sounds and sound effects to this video. Thanks a bunch to Jonathan from Boobrez ProdActions! 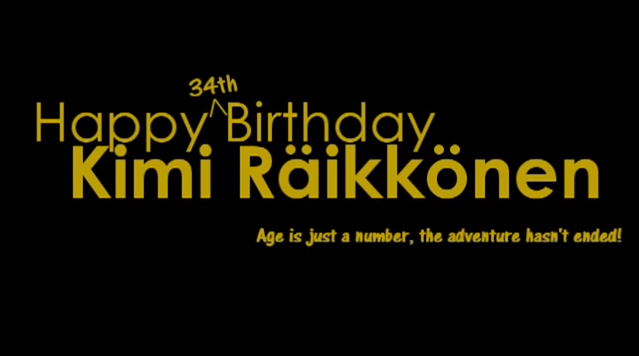 This is most amazing fan birthday greeting video ever! 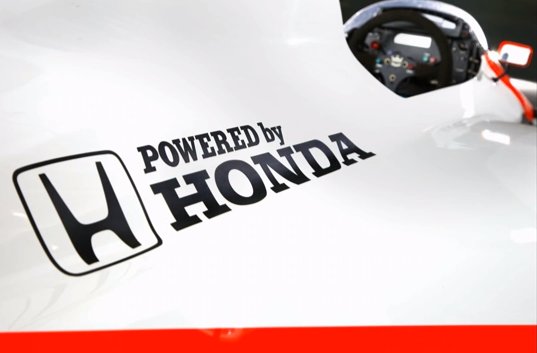 Mclaren Honda – 2015 1.6 Turbo V6 Formula 1 Engine Sound.